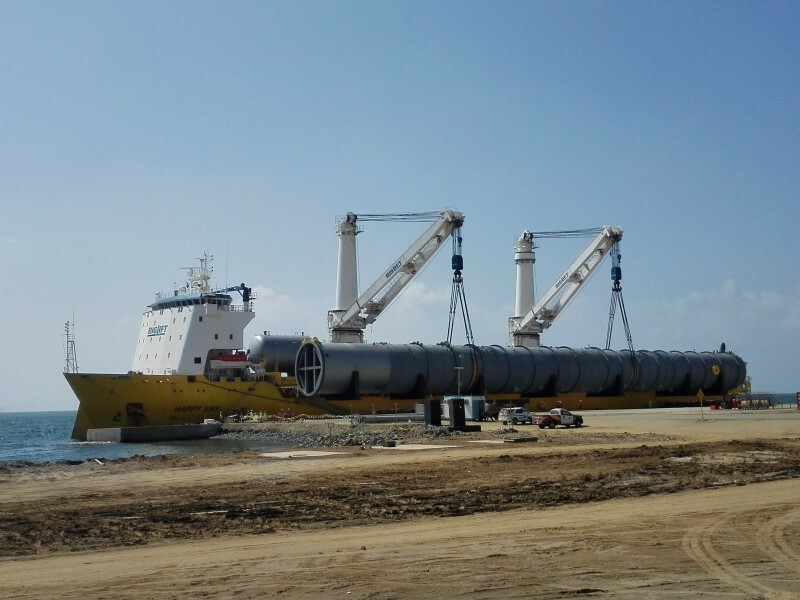 Happy Sky transported two extremely long columns and other equipment for our client JGC from Masan, South Korea, to Aramco's Jazan Refinery and Terminal project in Saudi Arabia. With a length of 110 m and a diameter of 10 m the Xylene column was quite a challenge to move. 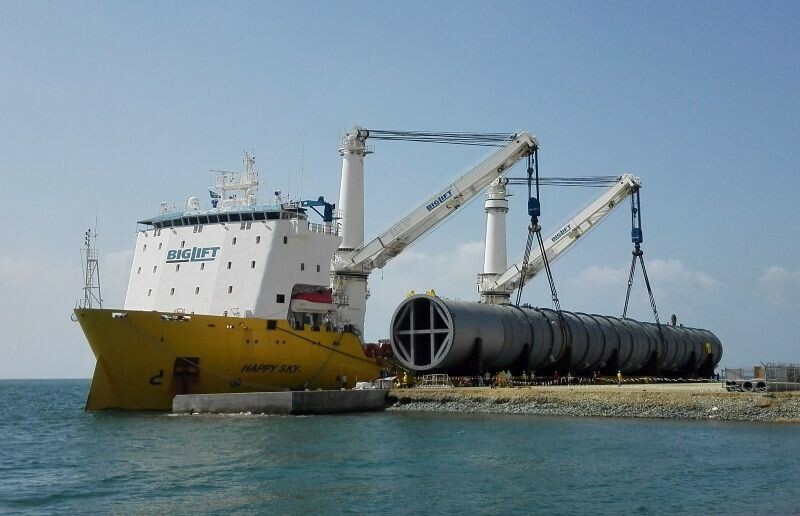 With this length and a weight of 1,300 mt JGC sought a reliable transporter that could safely lift this column and its only slightly smaller cousin, a raffinate column which was 75 m long, 11 m in diameter weighed and 650 mt. Both columns needed moving from Masan to Jazan. Only very few ships in the world are capable of handling such cargoes and Happy Sky is one of them. 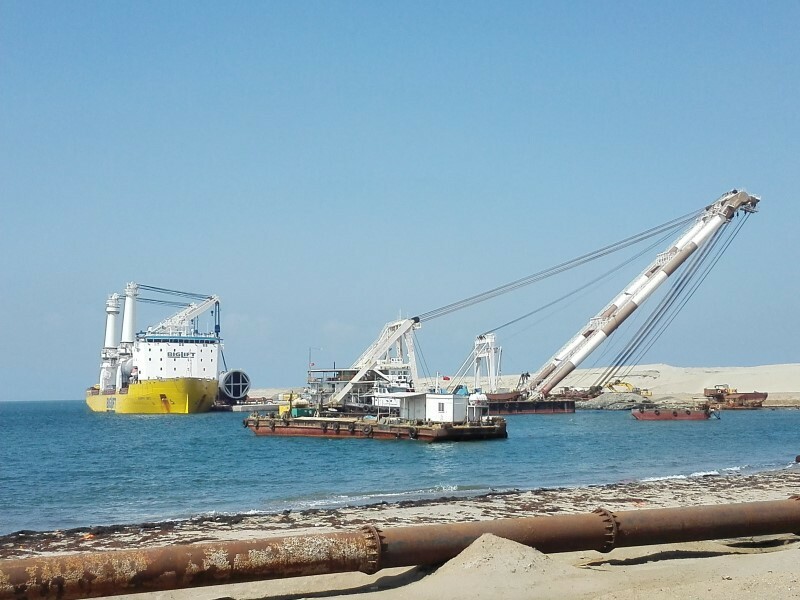 With her 1,800 mt lifting capacity and ample outreach she was perfectly equipped for this job. 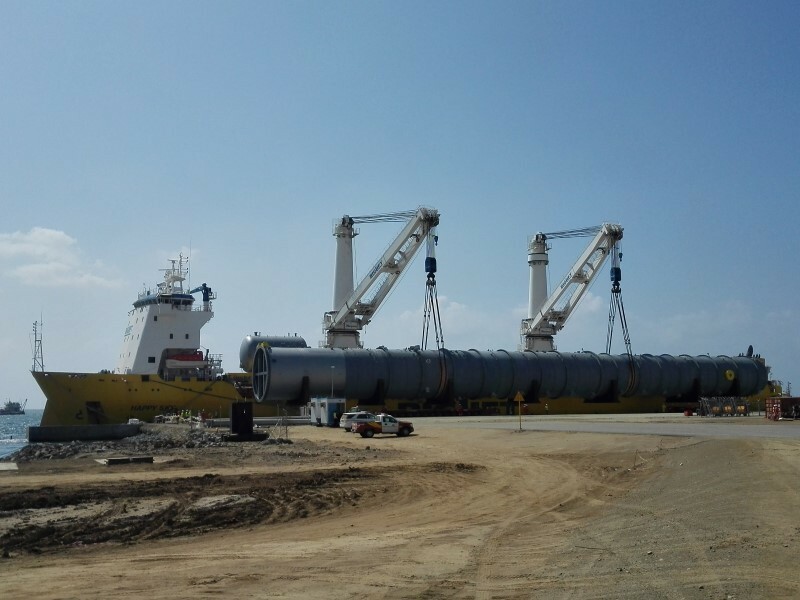 The people at BigLift Shipping love challenges like these and are proud to have been able to contribute to the transportation of these extraordinary cargoes for the Jazan Refinery and Terminal project. Apart from the columns on deck, Happy Sky carried a full load of project cargo in her hold. It so happened that various parts of the project were offered through different channels. In the end, Happy Sky carried some 15,000 cbm of cargo for three more clients which required the same discharge port. Saudi Aramco's new Jazan Refinery is a grassroots facility with an anticipated capacity of up to 400,000 barrels per day (BPD). The facility is expected to support the future development of Jazan Economic City. The additional refined products from the new facility will satisfy the growth in domestic demand from the Kingdom of Saudi Arabia.